To commemorate the beginning of Autumn, I visited a nearby apple orchard where I picked apples, played in the pumpkin patch, devoured fresh apple cider donuts and sipped hard cider.I came home with pounds and pounds of apples. I've always loved apples, and I can trace my love of apples back to kindergarten. My kindergarten teacher Ms. Murray hosted an "apple festival" one morning prior to nap time. My five-year old palate was eager and pleased to learn about variety. Apple wasn't as simple or consistent as the picture on the “Aa” flashcard suggested. I discovered that apple could mean so many things—there were red ones, yellow ones and green ones, and they all tasted different!Some were sweet and some were so tart that my lips puckered. Thinly slice the apples that will be on the top of the tart. As a true Louisiana native, I may be a little skeptical about seasons changing and colder weather, but I"m very sure about farm-fresh produce and even more sure about hand-picking fruit. 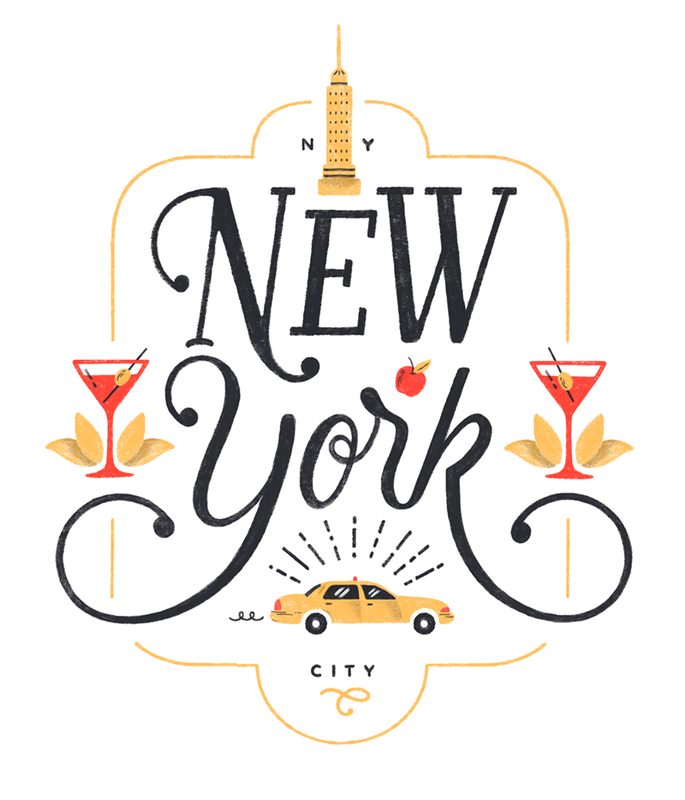 Visiting an apple orchard is one of the delightful activities that you can enjoy with an East Coast Fall. We visited Fishkill Farms in upstate New York one Saturday morning, and the entire place was lively with people of all ages.A band played near where burgers made with local beef were being grilled, and fresh apple cider donuts were being fried, sugared and cinnamon-ed. There was also a hard apple cider tasting, overlooking the McIntosh, Macoun and Jonagold trees.In addition to the more popular varieties, like Golden Delicious, Rome and Cortland, this orchard also had a number of less popular varieties like Mutsu and Paulared. The very pleasant day did have a few energetic moments. Many people bring their dogs as a day out with the entire family. But Fishkill Farms has a number of chicken coops. One particular dog was huuuuge. It looked more like a bear than a dog, and it jumped over the fencing into the chicken coop!The poor chickens scattered, although, they couldn’t really go too far.Fortunately, the dog only wanted to play, and soon its owner had leapt into the chicken coop and secured him. Sunflowers were also in full bloom! The bees were busy, and I'm staring a bee right in the face here. All of the excitement aside, my favorite part of apple picking is having an abundance of apples at my disposal. So, of course I had to bake something. The French-style apple tart, tarte aux pommes, is quite different from the all-American apple pie. During my time living in France, I was convinced that the apple pie was the one pastry where the American version was tastier than the French. But I now appreciate the simplicity and beauty of the apple tart. It uses a single crust so it’s less hearty yet the cinnamon and nutmeg create a feeling of warmth and coziness. This apple tart has a thick, apple sauce like filling, and it's topped with thinly sliced apples. I will certainly make an apple pie or two this season, but I wanted to share with you all a recipe I created to showcase the flavors of the apple tart.Be sure to use a sweet variety of apple (like golden delicious) for this recipe. Cook the apples until they are soft and most of the liquid has been absorbed. 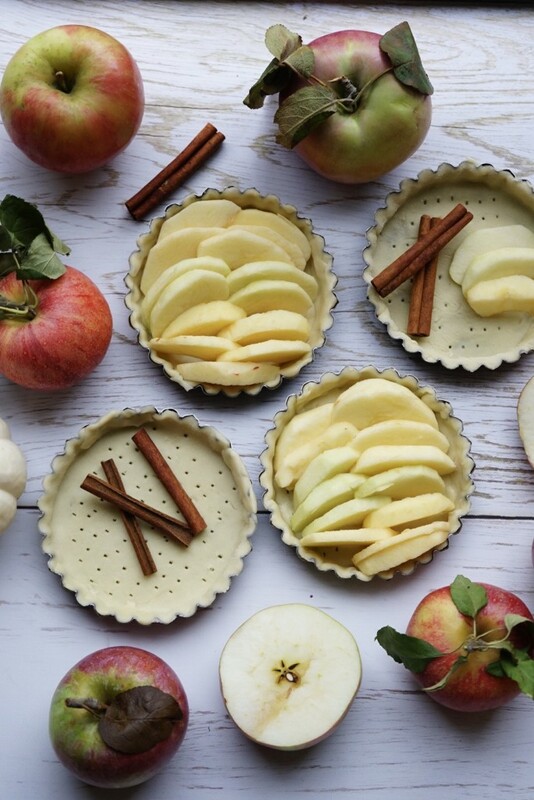 Arrange the cooked apples in the mini tart pans. Place the thinly sliced apples on top. *The recipe referenced is for a double crust. So, just make half of the recipe, or make the entire recipe and reserve half of the dough for later use. Preheat oven to 375 F. Divide the dough into four equal parts. Roll the dough out into four separate rounds and fit each round into a 4-inch mini tart pan. Refrigerate. Peel, core and chop 4 of the apples. You should have 16 ounces in chopped apples. In a small sauce pan over low heat, combine 6 tablespoons of sugar with 3/4 teaspoon ground cinnamon, 2 tablespoons water and 2 tablespoons brandy. Add the chopped apples and cook over low heat, covered for about 25 minutes, until most of the liquid has evaporated and a thick sauce has formed. Be careful not to burn the apples. 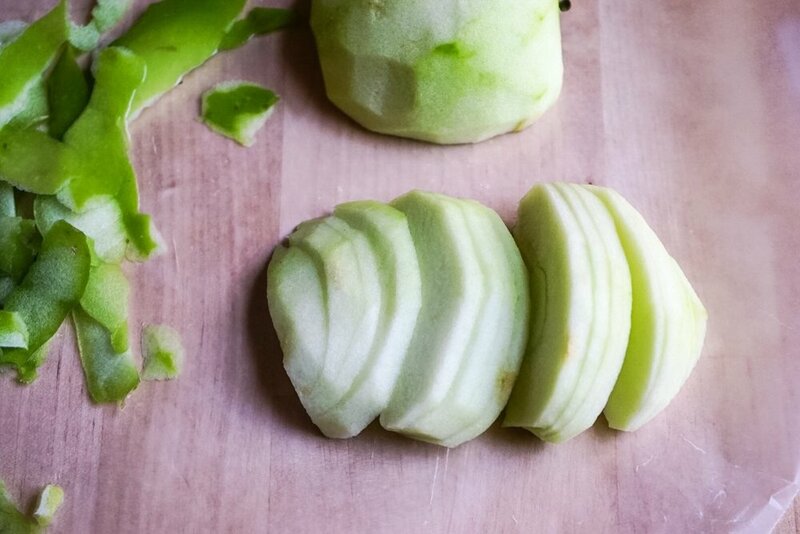 Remove the chopped apples from the saucepan and spread over a baking sheet so that they will cool more quickly. While the chopped apples are cooling, peel, core and thinly slice the remaining 2 apples. Toss the thin slices in a bowl with the lemon juice, remaining one tablespoon of sugar and remaining 1/4 teaspoon of ground cinnamon. 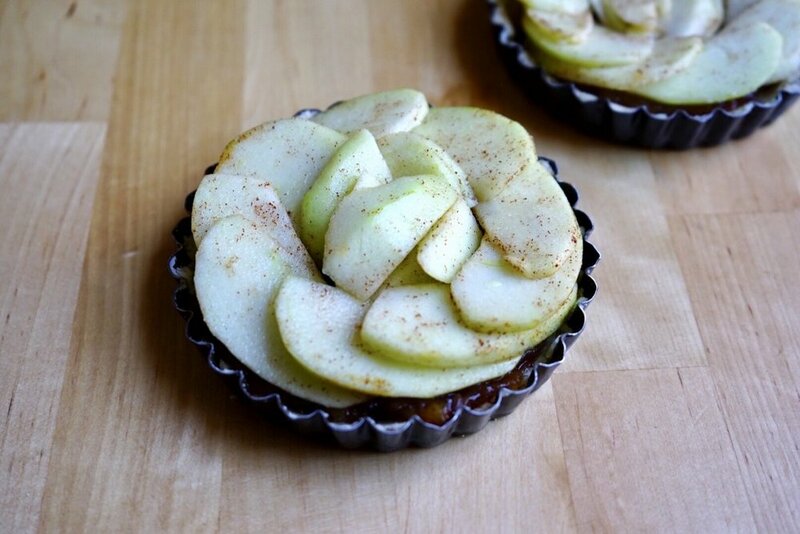 Once the cooked apples have cooled, fill the mini tart pans with the cooked apples. Then, arrange the thinly-sliced apples so that each slice is slightly overlapping the next slice. Brush the tops of the tarts with the melted butter and sprinkle with the sliced almonds. Bake for 45 minutes, until the apple slices are tender. Remove from the oven and allow the tarts to cool int their tart pans on a wire rack for 10 minutes. Then, carefully remove each tart and allow to cool completely on a wire rack. To serve, drizzle each tart with salted caramel and a scoop of ice cream, if desired. Top with salted caramel and ice cream and enjoy!